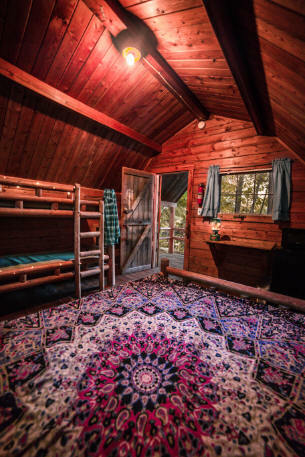 One room, complete with a double bed and a set of twin bunk beds. Also has a dorm-sized fridge and a microwave. 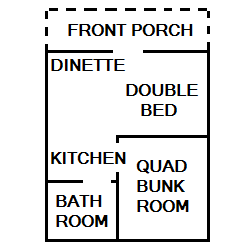 Outside has a porch, fireplace, grilling area & picnic table. No linens are provided. Electrical sockets are available, with a potable water spigot outside. 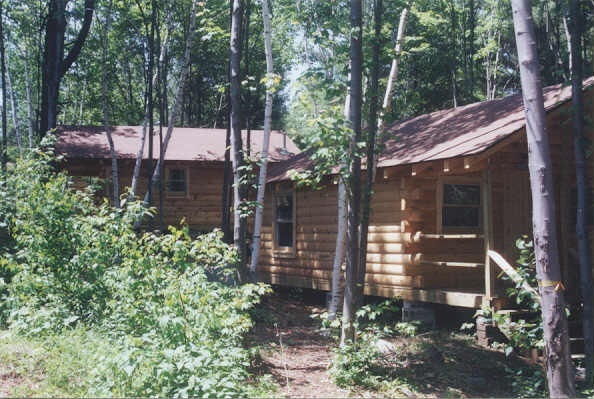 Two room cabins. 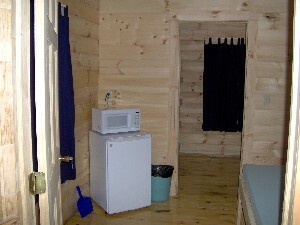 In one room there is a double bed, small fridge, and microwave. 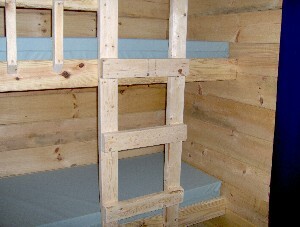 In the other room there are two sets of twin bunk beds. 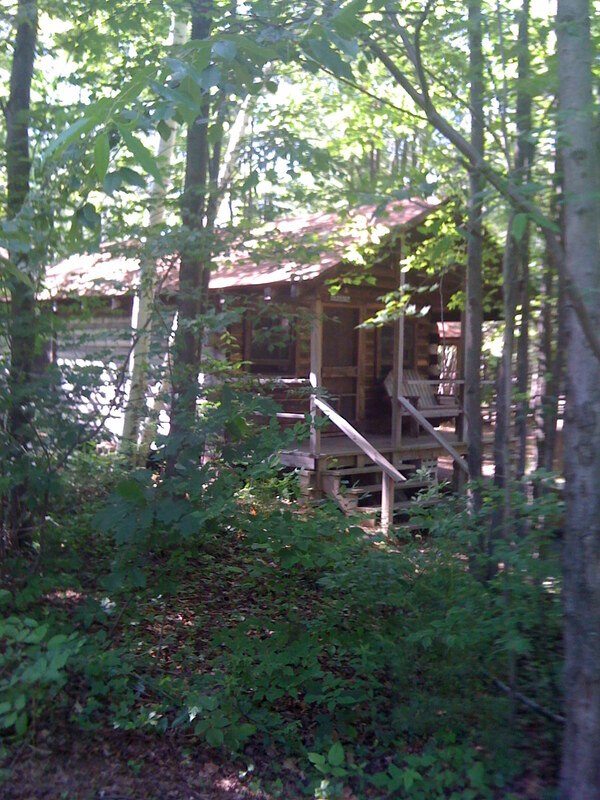 Outside has a porch, fireplace, grilling area & picnic table. No linens are provided. Electrical sockets are available, with a potable water spigot outside. 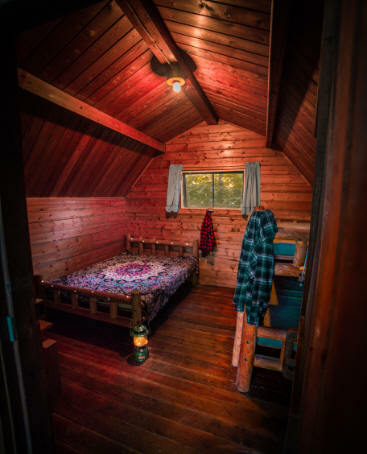 Two rooms with kitchen including full size fridge, stove, sink, coffee maker, and kitchen table with benches, plus private bathroom with shower and toilet. 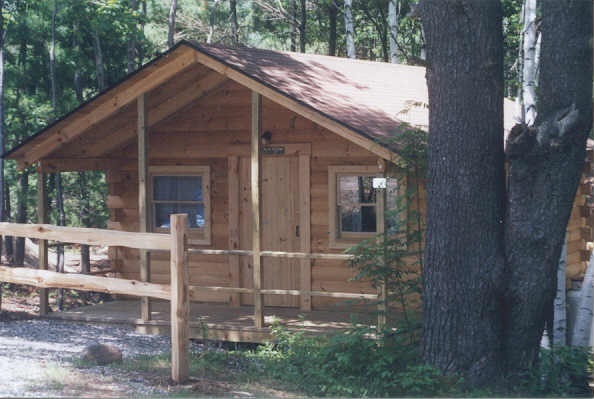 Prospect Mountain Campground provides the necessary utensils for cooking and dining, including: pots, pans, cooking utensils, plates, bowls, cups, mugs, and silverware. 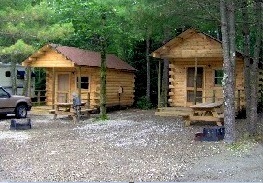 In the main room is a full-size bed and in the back room there are two sets of twin bunk beds. No linens are provided. 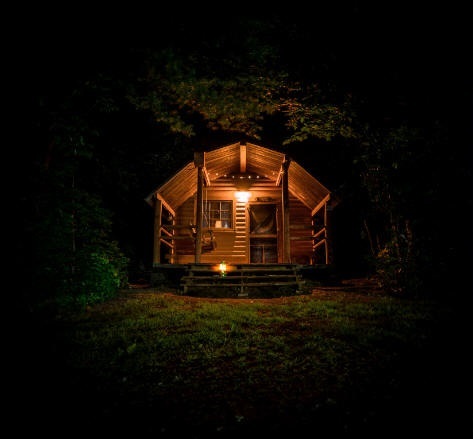 Outside has a porch, fireplace, charcoal grill, and picnic table.